Harry Jamison knew exactly what his retirement would look like. World travel. Scuba diving. Flying. Boating. Long drives in his Hummer H1. With his house paid off, he’d be able to help his grandchildren through college. Now those dreams are dead. 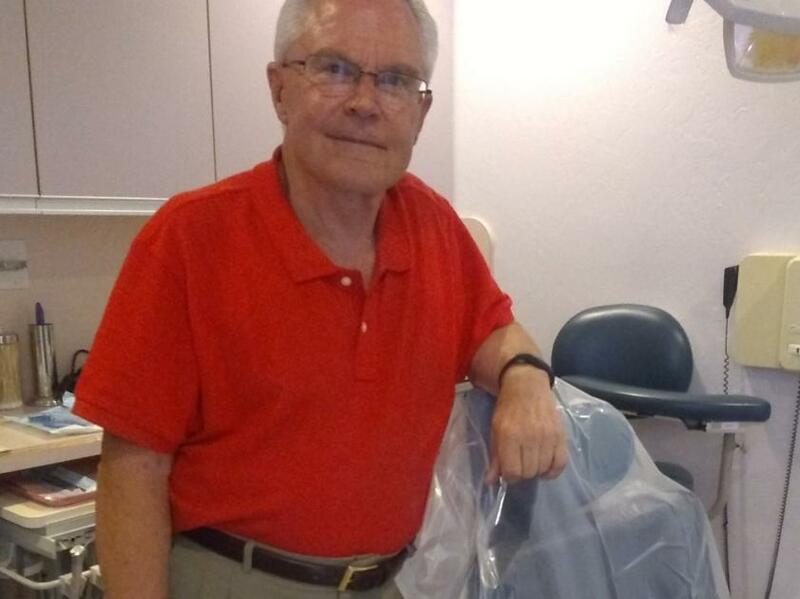 Instead of closing his office and flying off to Belize, the 77-year-old Green Valley dentist will be working years after his career should have ended. Jamison had been practicing for more than 30 years when Dale Edward Barlage walked into his office at Green Valley Village in 2002. The two became friends, and drew even closer when Jamison’s wife filed for divorce in 2005. They’d dine out, watch TV at each other’s homes and spent a Thanksgiving together. Jamison said Barlage befriended him at a time when he was contemplating suicide. For years, Barlage had tried to convince Jamison to join a group of investors in National Energy, a startup company he said was working with a European consortium on energy opportunities worldwide. Finally convinced, Jamison cashed in his pension in 2008, and gave all $300,000 to Barlage with the understanding he’d get it back within a year, with 50 percent interest. A short time later, he invested another $50,000 and was told he would get it back within 90 days. He trusted Barlage implicitly, especially since Barlage had been open about being in trouble before for insider trading. Barlage didn’t remain content with Jamison’s initial investment though. He kept asking him for more money and encouraged him to find other investors. Jamison declined and their friendship tapered off. Eventually, they’d only see each other when Barlage had a dental appointment. Jamison would repeatedly ask where his $50,000 was once the deadline had come and gone. When the recession hit, Jamison was disappointed but accepted Barlage’s continued reassurances that eventually both would see some money. But he began to grow suspicious when the economy began to bounce back and he still hadn’t seen anything. It got to the point he told Barlage he would be happy just to get his original investment back, but that didn’t happen and he began to get more and more suspicious. He was so suspicious he didn’t invest in a Mexican gold mine pitched by Barlage, but he wasn’t suspicious enough to turn down the opportunity to invest $45,000 in an Iraqi oil and gas venture in 2014. “You just can’t believe how nice the guy is,” he said. His faith in Barlage was destroyed when an FBI agent called to set up an appointment just a few months later. During a four-hour interview, Jamison said he learned National Energy, the gold mine and the Iraqi oil ventures were all fraudulent schemes and Barlage was heavily involved. Barlarge was indicted in U.S. District Court in March 2016 for wire fraud. According to the indictment, the 72-year-old Barlage was banned from selling, promoting or advising securities in 1994, but he duped people into investing in National Energy, a fake company, by making false promises between January 2008 and September 2014. Barlage told investors in Minnesota and Arizona that due to National Energy’s “lack of returns” he would provide them shares in the Mexican gold mine, but the shares had no substantial value, the indictment stated. In addition, Barlage convinced investors to purchase Iraqi oil via a Chinese broker using currency swaps when there were no currency swaps, the indictment stated. Barlage took in $1.6 million from more than 80 victims and used it for himself, according to the indictment. In August 2017, he pleaded guilty to wire fraud and a U.S. District Court ordered Barlage to forfeit $4 million. He was sentenced to 10 months in prison in August, and placed on supervised release for two years. Timothy Fitzsimmons, the FBI’s contract forfeiture investigator on the case, declined a formal interview on the case, but answered some questions via email. The FBI was asked to investigate Barlage by one of his victims and agents discovered Barlage lost all of the money he’d swindled by living lavishly. “Just like many individuals who commit fraud, Barlage was a good salesman, which is how he swindled smart people,” Fitzsimmons wrote. FBI spokeswoman Jill McCabe said Barlage’s conviction should send a strong message to would-be criminals. Assistant U.S. Attorney Michael Jette, who prosecuted Barlage, was unavailable for comment, spokesman Cosme Lopez said. Jamison said Barlage should have received a far harsher sentence, but he wasn’t asked for his input, nor did he attend Barlage’s sentencing hearing for fear of losing his temper. “When I get my temper up, I should be quarantined,” he said. Although chagrined to have fallen victim to Barlage, Jamison said he felt he had to come forward “because a leopard doesn’t change his spots” and he’s afraid Barlage will continue to try to swindle people from prison and upon his release.